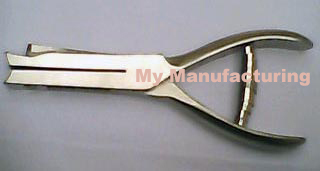 We are the only one in Pakistan who are manufacturing hole punches to punch tickets,cards,badges,patterens,plastic,leather,insect point,Discs etc.we are using stainless steel material to manufacture the all kinds of punchesWe are also using a heavy duty industrial spring in the punches.We are also manufacturing punches on the demonds or according to the requirements of the customers.The reach and sizes of punches can be manufacture according to the requirements of the customers. There are two models called A and B.
MODEL-B=This is also heavy duty punch made of Stainless steel.It got less Weight than model-A and we Are also placing a separate stainless steel die with high hardness in HRC.This is more easy hand squeezing. 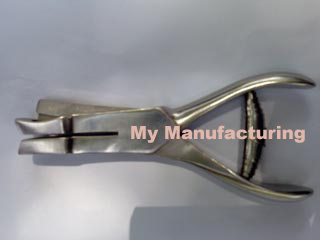 This is heavy duty punch which is 5 inches long.Its reach from the edge of the card is 1 inch.The following shapes at the moment we are manufacturing in it.This is available in bothe A and B models. Other Shapes= 3mm triangle,3mm square,3mm star and requested shapes or sizes can be manufacture according to the customers requirements. 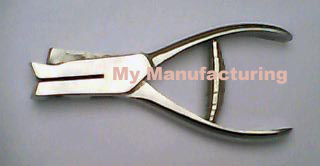 This is also heavy duty punch which is 5 inches long and its reach from the edge of the card is 1 inch.This is to manufacture big size of shapes and round holes. 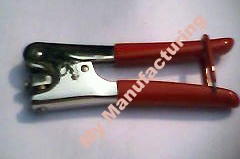 This is also heavy duty punch which is 5 � inches long and its reach from the edge of the card is 1 inch as well..This is to manufacture more big size of shapes and round holes.The following shapes and round hole size can be manufacture in it. OTHER SHAPES=13mm�3mm long rectangle and teardrop shape. This is most heavy duty punch which is 6 inches long .This is to manufacture big sizes of shapes and round holes.Its length of levers made it more heavy duty and easy hand squeezing. 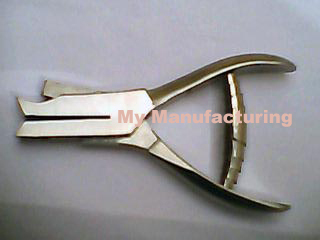 OTHER SHAPES; can be manufacture according to the customer s requirements. This is the hole punch with long reach.its reach from the edge of the card can be fix up to 62mm.At the moment we are manufacturing it with two reaches 50mm and 60mm. It can be manufacture in the following sizes of round hole and shapes. Round hole= 2mm,3mm ,1/16,1/8,3/16, inches etc. Other shapes=3mm triangle,3mm square,3mm star etc. 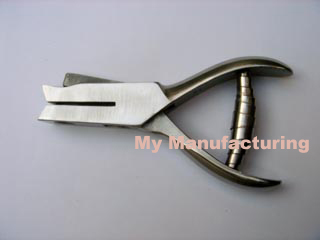 This is a punch to punch ablong hole in cards,badges etc.or to punch slot.This is a heavy duty punch to punch � by 1/8 or special size requested by the customers. This one comes in B model. 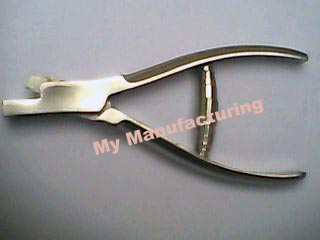 This is a notcher to notch at the edge of the card or pattern etc.We are manufacturing it in three shapes as u-shape,v-shape and square shapes in different sizes. Most common size in u and v are 5mm wide and 6mm long and also can be manufacture according to the customers required sizes and shapes. This is also use to notch at the edge of the cards or patterns etc.We are manufacturing it in different sizes of square and other shapes. 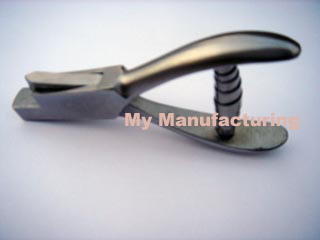 This is nice nickel plated plier to press 8mm, 9mm, 10mm seals.